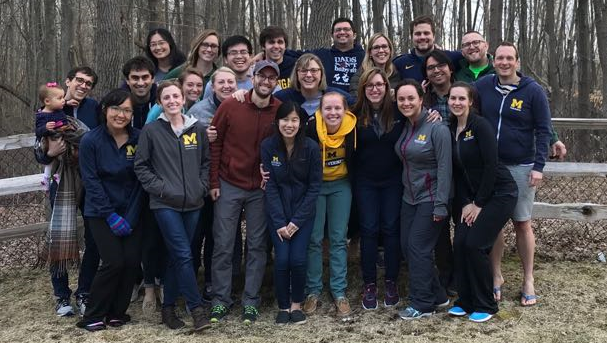 Welcome to the University of Michigan Family Medicine Residency Program! I’m very excited to tell you about our program and begin showing you all we have to offer. Although a website cannot truly replicate the knowledge of a place, we hope this gives you some flavor of who we are at Michigan. Our residency is always changing and growing, but our foundations don’t change, and are rooted in the academic advantages of a university-based training while also offering the important experience of community-based care through our continuity clinics and rotations at a community-based hospital. Thanks in part to the diversity of our training base, our residents are extremely well prepared to work in a myriad of settings upon graduation. Some practice full-scope family medicine including obstetrics. Many continue practicing inpatient adult medicine. The majority of our residents love to teach and continue doing so in their long-term careers, some after pursing advanced training in fellowships. Their practice settings also vary widely, some staying in academia and others taking community-based jobs, with geographical diversity from urban to rural. Because our residents seek many different types of jobs, we pride ourselves in being able to prepare them for absolutely anything. We do our best to individualize each resident’s education to give them a unique set of skills that can take them wherever they want to go. Commitment to excellence through critical inquiry, in both patient care and medical education, which manifests in our access to evidence-based medicine, our Quality Conference presentations and scholarly work curriculum. Excellence in the core clinical skills of family physicians, with role models internally for the practice of broad spectrum family medicine including outpatient practice, inpatient practice, behavioral health, procedures and obstetrics. Maintaining a supportive community that fosters personal reflection and wellness in the rigorous pursuit of excellence. In order to prepare our graduates for the richness of opportunities that Family Medicine can hold, we invest in a wonderful community of teachers, ranging from the medical assistants in our clinics all the way to our department chair. Family Medicine at the University of Michigan is just that—a family of educators, physicians, and staff who love caring for other families and bringing learners into ours. I myself was trained in the program, and remember that some of my best teachers were medical assistants that still work in my clinic, not to mention other faculty members who then welcomed me into their ranks and continue teaching me to this day. Since that time, we have grown both in number and in scope, and we hope that you will visit us to see for yourself what we have to offer. I would like to offer a sincere welcome to you, as you consider the University of Michigan for your residency training. 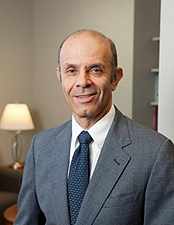 As Department Chair of a group of exceptional Family Medicine educators, I see firsthand how committed they are to providing the BEST primary care available, continuing to ask critical questions of our health care system through our research efforts, and providing outstanding education at the medical student, residency and fellowship levels. We have a commitment to health in our community as seen through our Patient Centered Medical Home (PCMH) and population medicine efforts, our community hospital/university hospital partnerships and the broad impact of our Department of Family Medicine. Our third-year medical student clerkship has ranked in the top two clerkships for thirteen years running, is currently #1, and our residents are a part of this education. Ann Arbor is a vibrant, active community, where big name performances and events come to town, but where a small college town vibe still persists. It's frequently cited in "Top Ten Cities To Live."  If you visit us here in Ann Arbor you will find a group of highly committed, thoughtful, innovative clinicians and educators, and we think you’ll want to stay. We look forward to having you visit us here to see the Michigan way – GO BLUE!Our commitment to our community can also be seen in the choices our residency graduates make – each year several remain here for fellowship, some assume faculty roles and others go on to private practice or care for underserved patients. We are very proud of the footprint our graduates make in the provision of primary care in the state of Michigan, across the nation and even across the world.